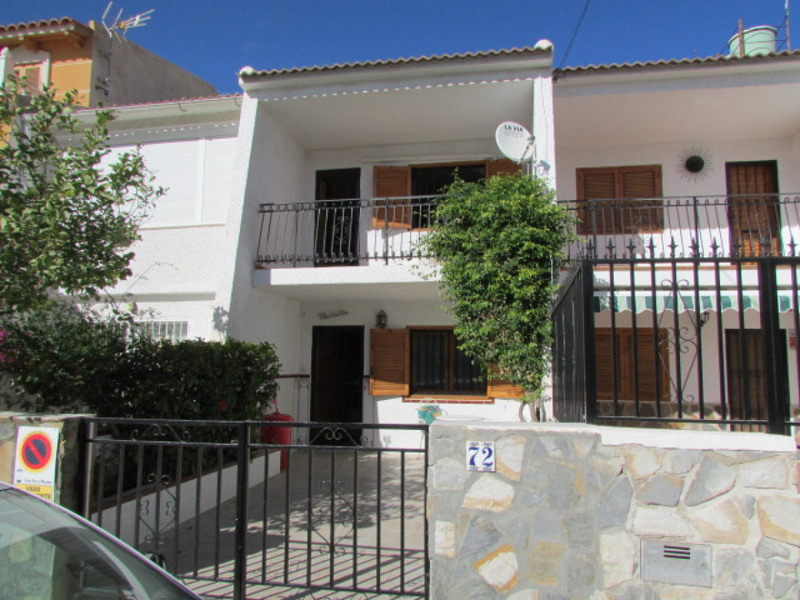 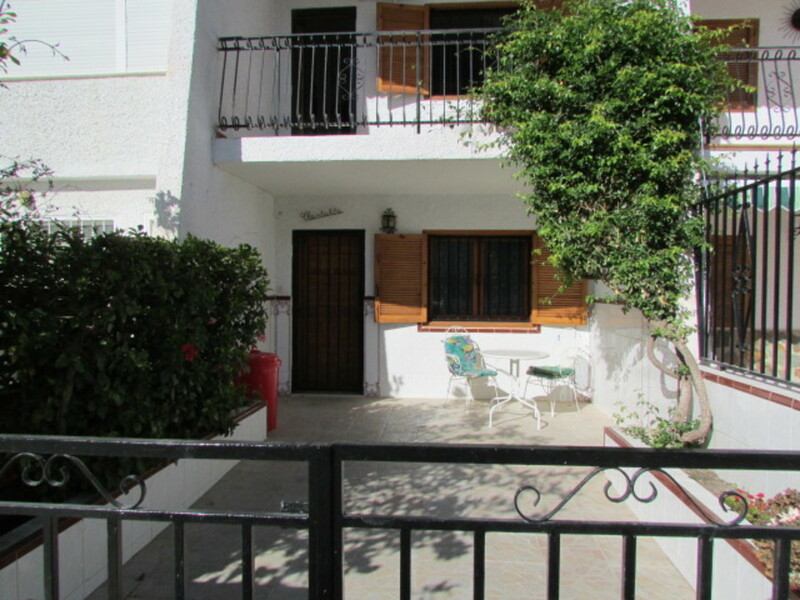 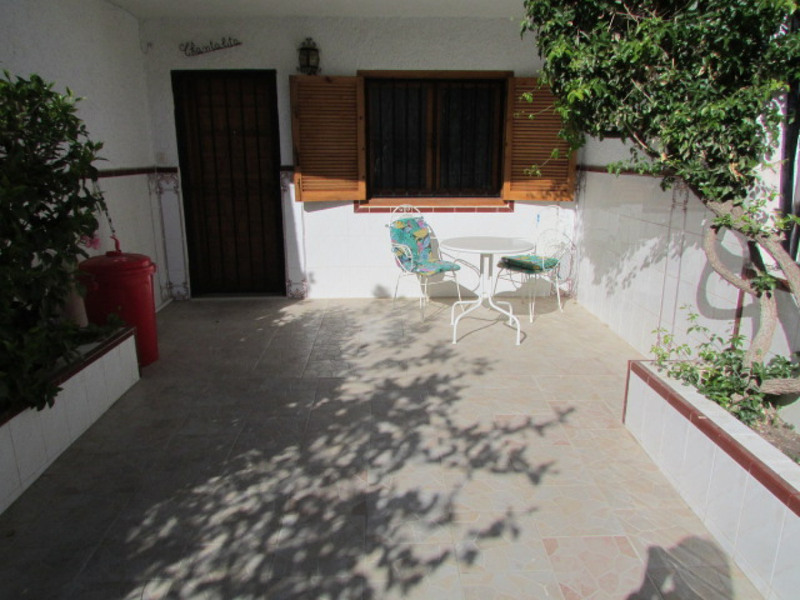 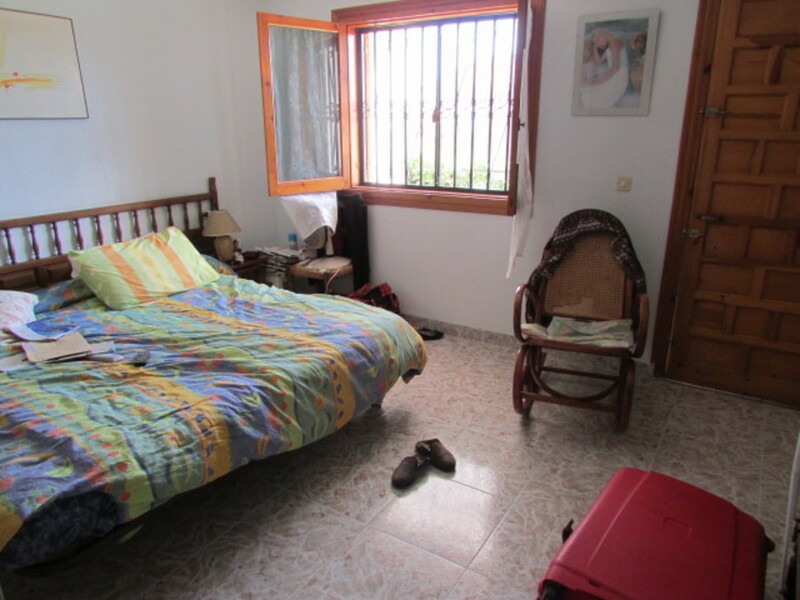 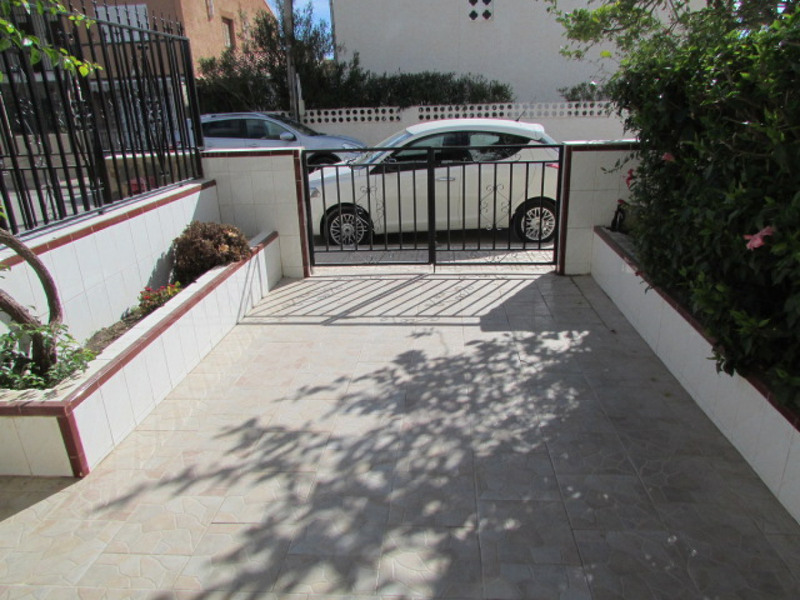 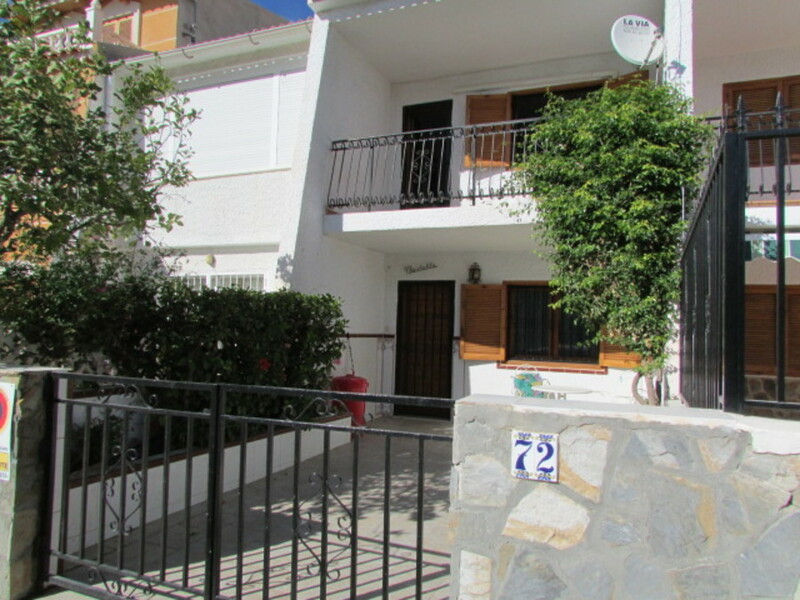 CHARMING 2 BEDROOM 1 BATHROOM DUPLEX IN THE BAHIA AREA OF PUERTO DE MAZARRON, MURCIA ONLY 5 MINUTES WALK AWAY FROM THE BEACH. 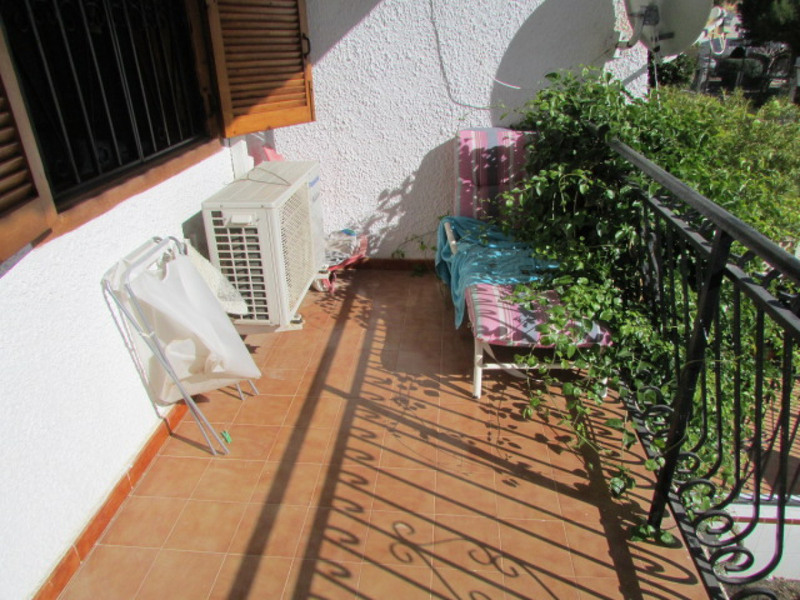 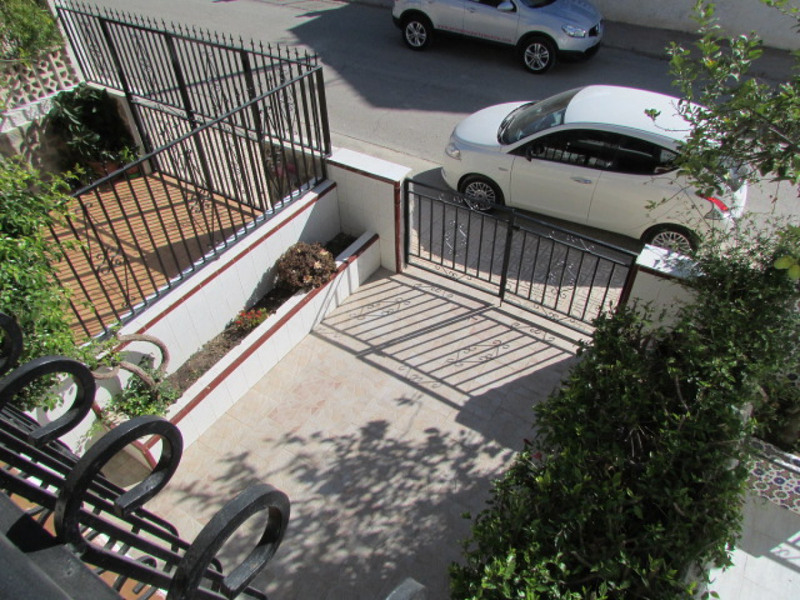 The property is gated and has a pretty, sunny front terrace with raised planters each side and wooden shutters to all windows. 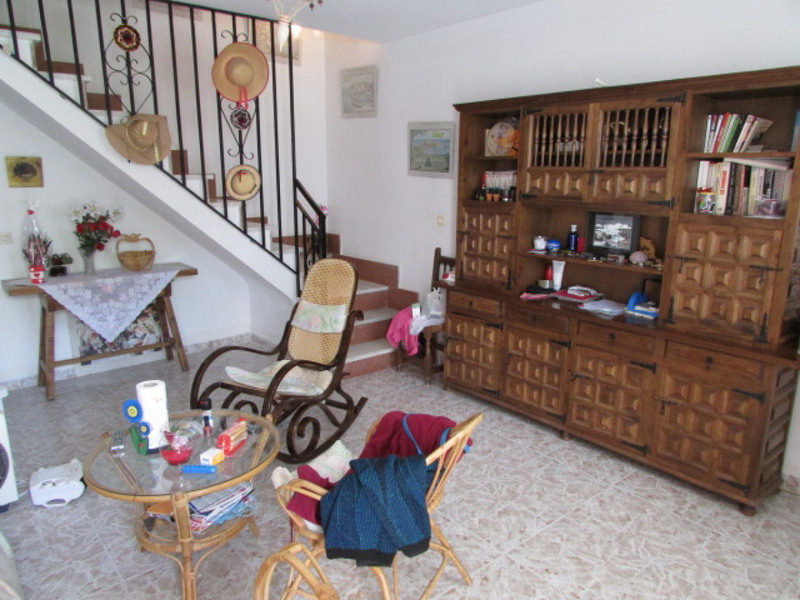 The front door opens to a lounge dining room with feature staircase. 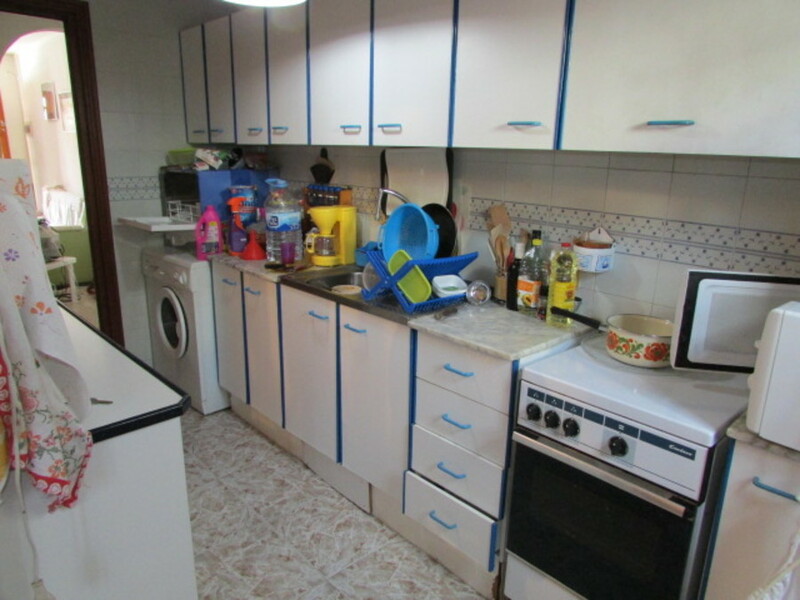 To the rear of the property is the fully fitted kitchen which has been opened to what originally was a third downstairs bedroom so the original layout could be restored if required by the new owner. 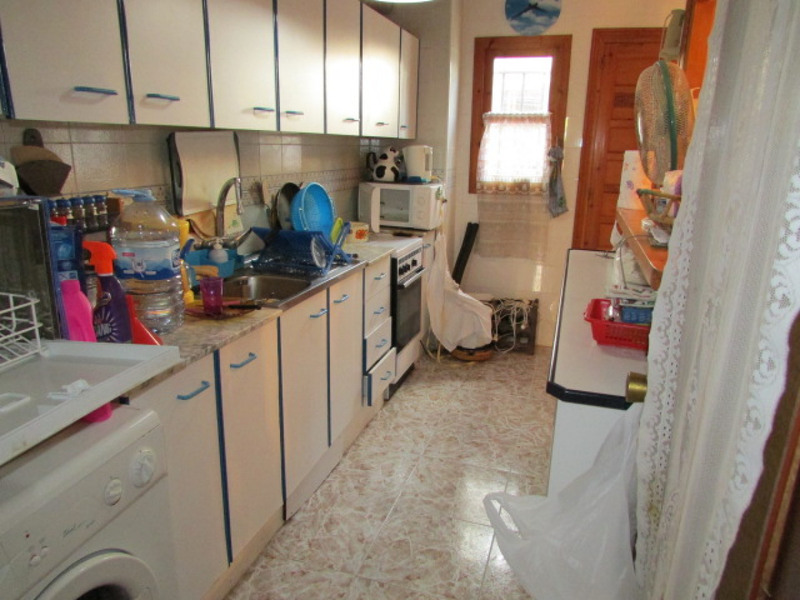 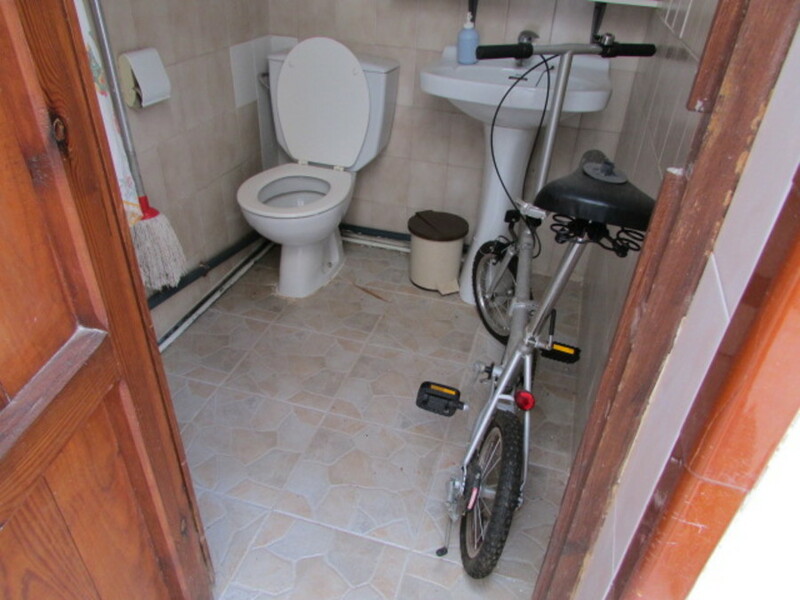 A door from the kitchen leads to a rear terrace with BBQ, food preparation area, large open-air shower and separate cloakroom with sink and toilet. 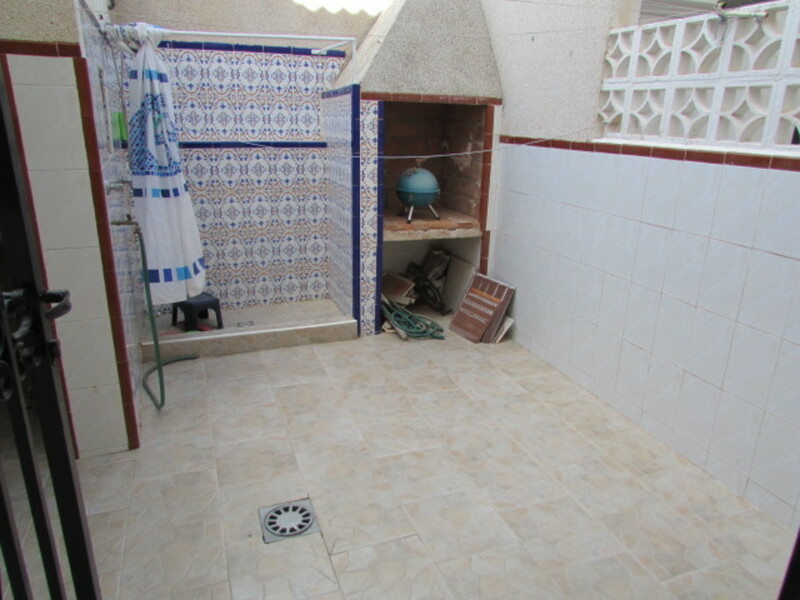 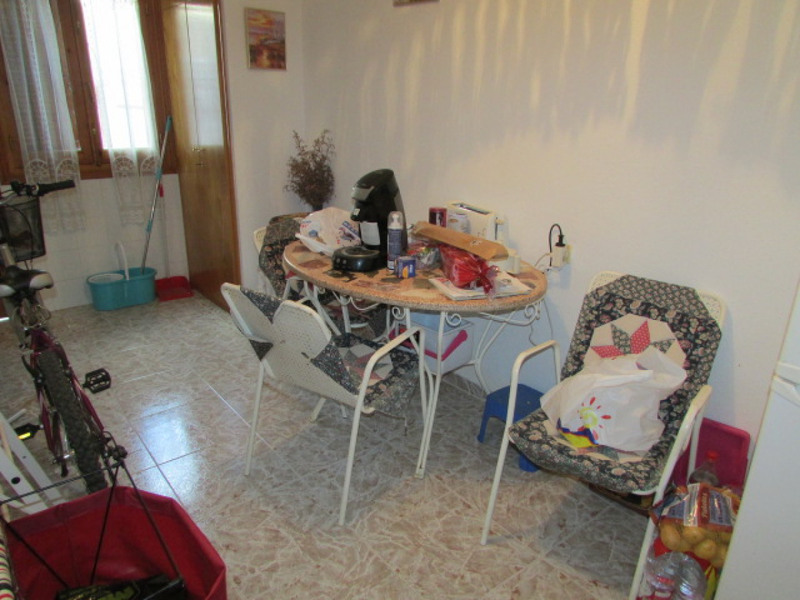 Upstairs are 2 double bedrooms and the family bathroom with bath and shower over. 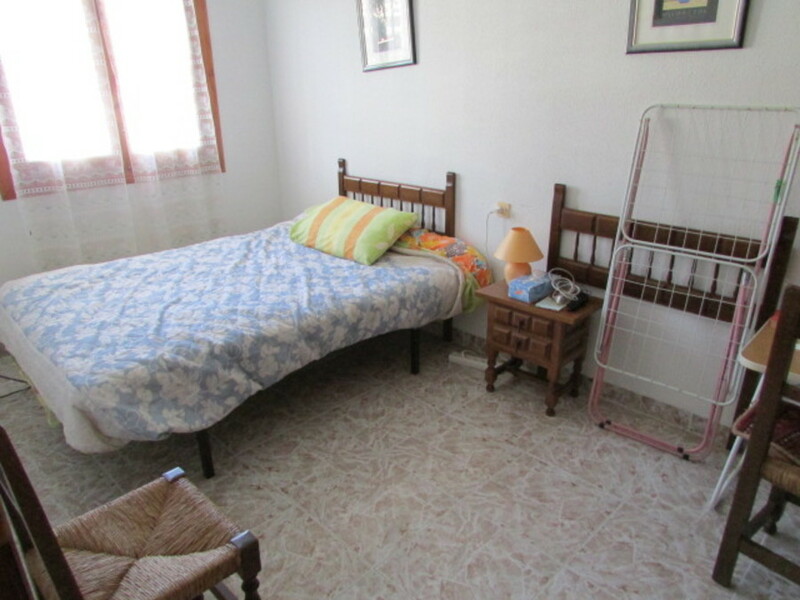 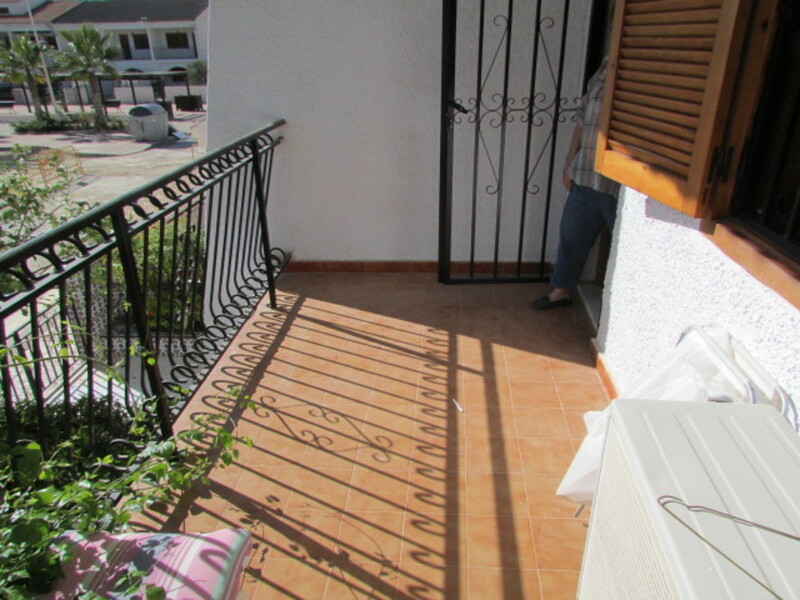 The master bedroom has a sunny balcony with space for a table and chars or sun loungers. 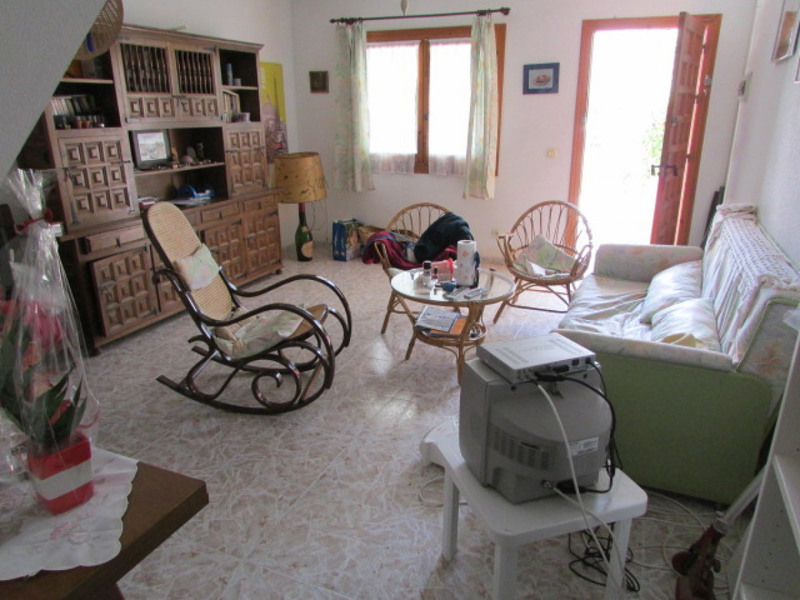 Mains water & electricity are connected and land line telephone + internet are available.